The Merlion is Singapore’s mascot. 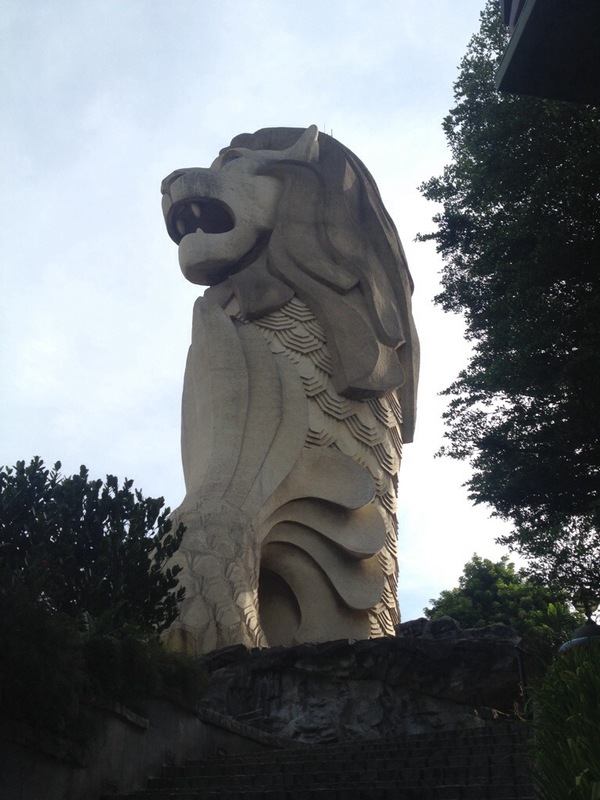 It is a figure with the head of a lion, which represents Singapora (the original name) or lion city, and the body of a fish, which symbolizes the beginning of Singapore as a fishing village. The original Merlion sits in a plaza built for it. This one is 37 meters high and rises up to 60 meters above sea level. It is in Sentosa. Richard likes lions. Richard likes fish. Richard is happy that such a creature exists. Can they be ridden though? But who knows… there are a few around though… and not its first appearance in PicOfTheDay… If you look closely you will see that it has been here before… Just didn’t know what it was.